The Guide to Ancient Greek Art is intended to help identify sources needed for a research paper in AR301. Books and e-books about Ancient Greek art can be found by using the library catalog (http://librarycatalog.uah.edu). A search using the "words or phrase" selection from the drop down menu works like a keyword search, and a "subject" search works according to the subject headings assigned by the Library of Congress. You can find helpful subject headings by clicking on the "Catalog Record" tab while looking at the record of a book strongly related to your topic. Click on the subject heading or use it together with keywords and phrases to further narrow your search. Below are just a few examples of books and e-books you can find in the Salmon Library. Try your own searches through the catalog, or, if you're still not finding what you need, contact the library for assistance. By applying modern dress theory to the ancient evidence, this book reconstructs the social meanings attached to the dressed body in ancient Greece. Whereas many scholars have focused on individual aspects of ancient Greek dress, from the perspectives of literary, visual, and archaeological sources, this volume synthesizes the diverse evidence and offers fresh insights into this essential aspect of ancient society. These 20 papers explore ancient notions and experiences of childhood around the Mediterranean, from prehistory to late antiquity. They are grouped into sections on Families; Socialization and Enculturation; Rituals and Life Transitions; Gender and Representation; Burial; Commemoration; and Childhood and the Classical Tradition. The contributors come from a range of different disciplines, including art history, archaeology, classical philology, and physical anthropology. 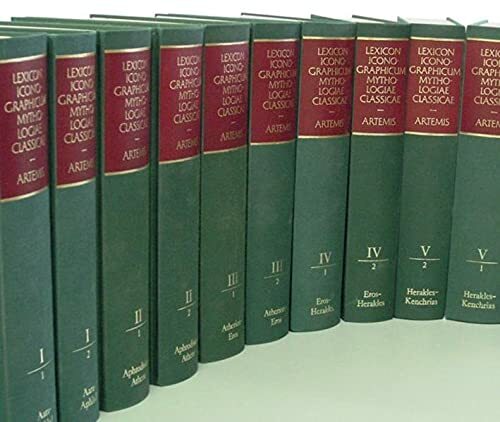 Arranged alphabetically, this two-volume set contains over 800 entries tracing the development of the art forms in classical civilizations such as ancient Greece and Rome. Illustrated with 400 halftones, maps and line drawings, and 32 color plates, the Encyclopedia is a reliable and convenient resource covering this field of everlasting significance in the development of western culture. Both volumes located in Reference in the South Wing, First Floor. This international anthology provides the first investigation of the delineation of otherness across a broad spectrum of Classical Greek imagery. The authors develop a nuanced picture of criteria denoting the Other in Greek representations and reveal their social and political functions. 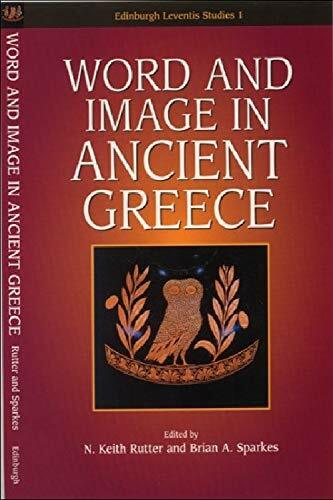 Word and image in ancient Greece by Rutter, N. K.
Electronic book located online through the library catalog. American Journal of Archaeology: The official journal of the Archaeological Institute of America. Some print and electronic access available. Antiquity: Articles and more covering all areas of archaeology. Issues available in print and electronically. Arts & Humanities Citation Index Expanded (ISI Web of Science): Several citation indexes, including Arts & Humanities Citation Index. When searching, the "Find at UAH" button will help you to gain access to the cited materials through the Salmon Library. Classical Antiquity: Articles covering research on Ancient Greek and Roman Civilization. Electronic and some print access. Classical World: Covering Greek and Roman literature, history and society. Some full-text access available at UAH through JSTOR, ProjectMUSE, and ProQuest SciTech Collection. DOAJ : Directory of Open Access Journals:Free, full-text, quality-controlled scientific journals, covering all subjects and languages. JSTOR: JSTOR provides page images of back issues of the core scholarly journals in the humanities and social sciences from the earliest issues to within a few years of current publication. Users may browse by journal title or discipline, or may search the full-text or citations/abstracts. Project Muse: A collection of over 400 electronic scholarly journals in the humanities and social sciences from nearly 100 not-for-profit publishers. American Journal of Archaeology Online: Website of the The American Journal of Archaeology, the journal of the Archaeological Institute of America. Antiquity Online: Website of the publication Antiquity, featuring a project gallery. Beazley Archive: Sir John Beazley, Lincoln Professor of Classical Archaeology and Art, created a personal archive of material relating to the study of classical archeology and art, which is now held in the Ashmolean Musuem. The photographs of Athenian vases are the largest archive of this class in the world and were the basis of Beazley's life work. 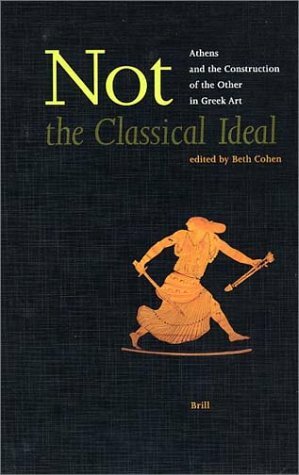 Classical Myth: Ancient texts (images). Corpus Vasorum Antiquorum : A catalog featuring thousands of ancient vases. Browse by country or museum and collection. An advanced search option allows for searching by fabric, shapes, and technique. Diotima: Serving as an interdisciplinary resource for anyone interested in patterns of gender around the ancient Mediterranean, Diotima includes a searchable bibliography and many journal articles. Maecenas: Searchable site of photographs of Greece and Rome (images). Perseus: The Perseus Classics collection is an integrated collection of materials, textual and visual, on the Archaic and Classical Greek world. Explore museums housing impressive collections of Greek and Roman art. Features a searchable collections database for one of America's greatest collections of Greek art. A wealth of information on the Getty's Greek, Roman and Etruscan objects. Searchable database, timelines, bibliographic essays, and more for The Met's collection of Greek and Roman art.